Wasn’t today brilliant? Sunny and breezy and all the trees in blossom. I spent this afternoon at a favourite plant nursery buying mature trees for a client- at around £400 a tree they have to be impactful and look good from all angles so it’s important to choose them in person. But this morning was class time and I’d decided to revisit one of my favourite plantswomen, Rosemary Verey. She was more famous in the 1980s when I was just starting out in gardening and I loved her books because her planting schemes were pretty , romantic and ones that lots of us wanted to copy. Remember, this was the ’80s when eleborate swagged curtains and frou frou wedding frocks a la Princess Diana were all the rage! She married David Verey at 21 , had 4 children, and moved into the family pile Barnsley House aged only 32. She called it ‘humble yet beautiful’……..Yes, quite! Husband David was then given (yes, given!) a Temple from nearby Fairford Park ( I wish someone out there would give me a temple, or even a shed would be nice) and they made the pool garden with its long vista and brilliant borders. Mrs. Verey shot to fame around the late age of 62, suddenly coming out of the obscurity of being a countrywoman gardener into being a prolific author, celebrity plantswoman and lecturer. How so? Well, a trawl through the internet uncovers a talk given by a very gossipy Sir Roy Strong on his friend the late Rosemary Verey for the Garden Museum in 2010 where The Daily Telegraph reported that Sir Roy shocked everyone with his startling revelation that ” Verey had had a serious love affair with an interior designer who, he suggested, may have had a strong influence on her emerging design style and the layout of the garden at Barnsley in the Seventies.” Great choice of friends Rosemary! My class all gasped in amazement and leaned forward at this point. 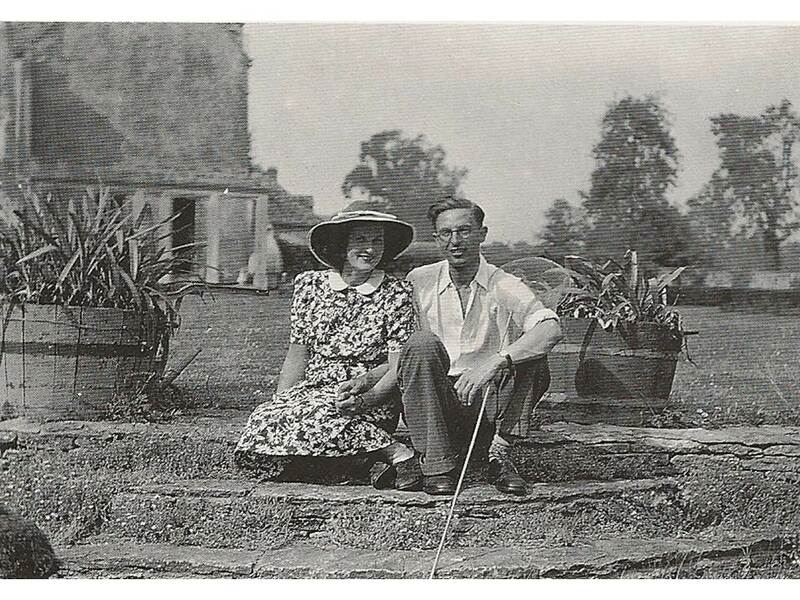 The interior designer in question was a man called David Vicary, a friend of her husband. Sir Roy Strong, ever the sensationalist, then revealed that Verey was “hot stuff in Gloucestershire, highly sexed, like many who follow the hunt, and the only woman I have ever known who kissed me full on the lips the very first time we met.” Rather her than me, is all I can say……Look at him, for heaven’s sake! Whatever you think of Rosemary Verey’s private life, she got an awful lot of us started on making pretty planting schemes, me included. And she was always copying things that she saw elsewhere and making smaller scale versions at her home Barnsley House in Gloucestershire. Her famous laburnum tunnel was actually a copy of Bodnant Garden’s own laburnum tunnel. So thanks Rosemary Verey- your fluffy planting schemes were just right for getting a lot of young women like me interested in gardening in those far off days of the big shoulder pads, and Lady Di pearls and twin setts. P.S. I wonder what ‘friends’ of Sir Roy Strong will reveal about him when he’s no longer with us……. Previous Putting on a Side Show.